The paint system used by Paintmedic is the PPG refinish system. This is an insurance approved system which carries technical and commercial approval by a large number of motor manufacturers including Audi, Aston Martin, Ferrari, Ford, Jaguar, Land Rover, Mercedes Benz, Volkswagen and many other manufacturers. The system will match any colour on any make of vehicle. PPG is also a long term official partner to the Williams F1 team, providing innovative paint product and process systems designed to ensure minimum weight, reduced cost and providing the highest definition finishes. Paintmedic uses the PPG refinish system to ensure the highest quality repairs. 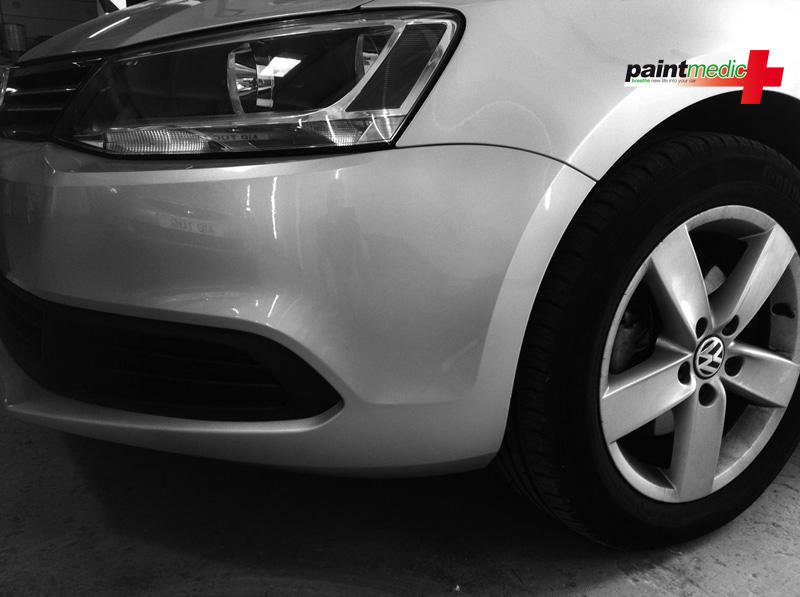 At Paintmedic we use SMART technology to repair car paint, bodywork, bumpers and alloy wheels. SMART stands for Small to Medium Area Repair Techniques – a specialised repair process which is ideal for scratch repairs, smaller dents, scrapes and grazes which don’t need a full body shop repair. The SMART process is fast, cost efficient (cheaper than a body shop) and convenient – repairs are carried out at the customer’s preferred location and at a time to suit the customer. Paintmedic is a mobile service, we come to you. To carry out repairs we will need a suitable, off road area with an electrical socket within 45m. Whilst working we will need to erect a canopy over the vehicle and park the Paintmedic Volkswagen Transporter van alongside. A large garage would also be suitable. If you do not have a suitable area where the repair can be carried out, try asking friends, family or colleagues if they have a suitable area we can use. 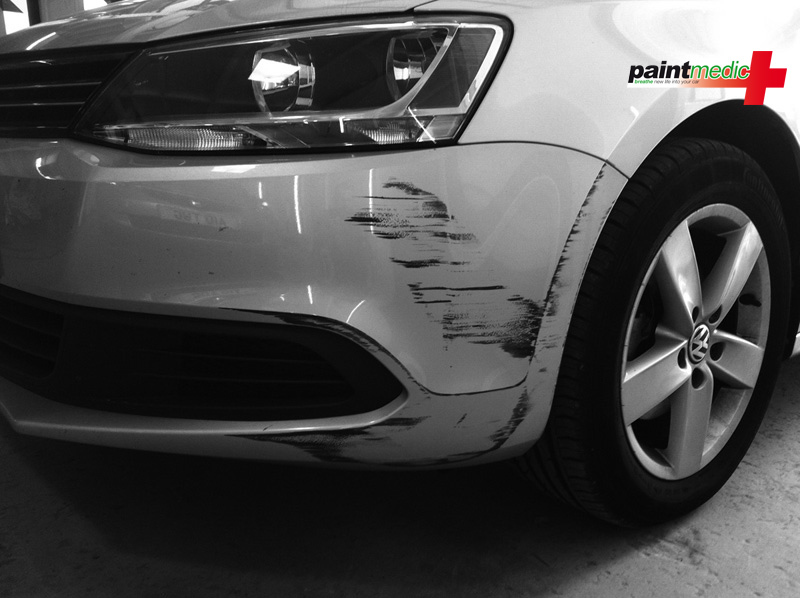 All Paintmedic’s standard bodywork repairs come with a lifetime guarantee. Repairs to kerbed and scuffed alloy wheels come with a 12 month guarantee. Regrettably we are unable to offer any guarantee for repairs to rust damange*. There is also no guarantee on ‘touch ins’ to minor paintwork chips if this is the type of repair the customer wants. * Repairs to rust damage. Even modern cars will rust if damage to the metal parts of the body work is not dealt with promptly. Layers of paint and lacquer provide protection to the metal, but when the paintwork is compromised this protection is lost. When corrosion starts it is very difficult to effectively treat without cutting out the effected area. Paintmedic can still treat the effected area and complete a high quality repair but there can be no guarantee that the rust will not return and effect the quality of the repair.